Those of you who are regular readers of this blog know that I am planning a lengthy stay in India next year. I had planned to spend two months in an ashram in south India studying yoga therapy with a swami. I have since learned that the ashram is not all it was cracked up to be which actually didn’t surprise me all that much. I am certainly not going to spend my hard-earned yoga money on an ashram or a swami who makes false recommendations on an India travel website. I learned that there were about 10 obviously fake posts on the thread about the ashram and they all seemed to be from the same city in India (Madurai, where the swami is based) from people who claimed to be from outside of India. Any website owner knows where people are located by the IP address, i.e., your computer’s signature, the same way a blogger knows where readers come from by looking at their site meter. After learning about this I emailed the ashram asking for an explanation. I never heard back from them. Now I have more money for my trip, the money I won’t be giving to the ashram. I’ve changed my plans to taking private classes again at the Krishnamacharya Yoga Mandiram like I did last year (and believe me, they also like Western money) and I can spend more time in my Indian home, Chennai. I can already feel the shakti. OM KALI MA! If things work out I will fly to Africa after the Mela to conduct a yoga retreat either in Tanzania (maybe with a safari option) or on the island of Zanzibar. My friend who lives in Tanzania flew to Chicago last week to see me — we had not seen each other since India, 2005 when we were together for a month at KYM. We’ve always stayed in touch and she had invited me to teach in Arusha, Tanzania but the timing was never right. Next year it will be. She knows people who own eco-resorts, perfect spots for a yoga retreat. If it happens, it happens, I am not attached. But it would be DAMN COOL to conduct a yoga retreat on Zanzibar! But I will detach from the outcome. To my global readers who have told me that would they would love to take classes with me….watch this space! 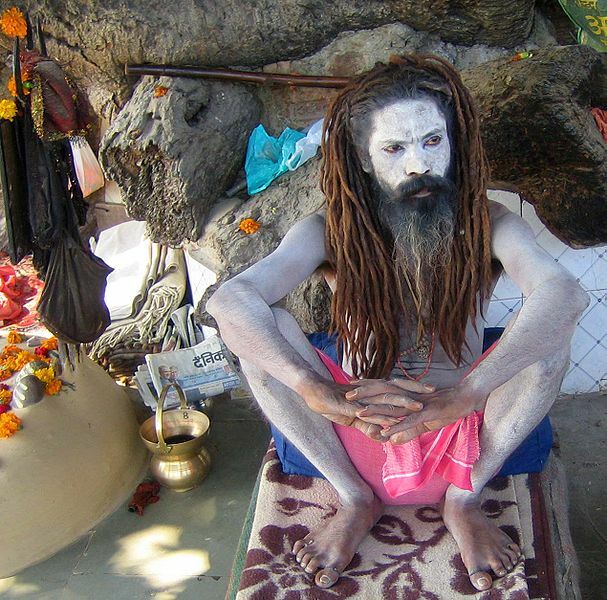 The Kumbh Mela in Haridwar in 2010 is the MAHA Kumbh Mela, the GREAT Mela, not the Ardh or half Mela. The Mother of all Melas. And I’ll be there, me and about 50 million of my closest friends. The largest spiritual gathering in the world. I take everything with a grain of salt. Whatever happens, happens. But all things happen for a reason. Next Post "hey, brother, can ya spare a yoga class pass?" Wow, you’ve got a lot going for you right now; how exciting. And did you just associate greedy Fergeni’s from Star Trek with peace-love-dove? LOL, maybe I’m missing something here! hmmmm…”Fergeni’s from Star Trek”…..sorry, don’t get it.“feringhee” (feringhi, ferinji, firanghi): hindi/urdu word (poss. persian derivation) meaning foreigner, outsider, westerner.thanks for stopping by! LOL, after I posted my comment, I thought maybe it was a Hindu word. I’m a Star Trek fan, and the Fergeni’s are a greedy, capitalitist race of aliens.